What is “Traditional Chinese Medicine” or “TCM”? TCM is comprised of Acupuncture, Qi Gong (healing movement and breath), Tui Na (therapeutic massage), Dietary and Herbal Therapy, Cupping and Gua Sha (methods to help release toxins from the skin), Moxabustion (the use of the herb of mugwort to warm points and channels), and more. 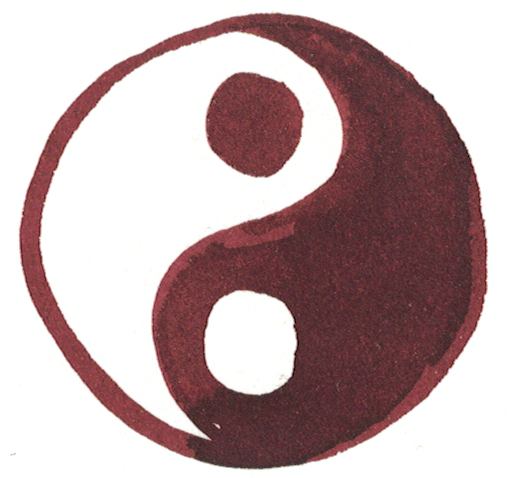 It is the collection of many traditions used in China for over 3000 years to regulate the flow of Qi (or energy) and to bring the whole of your system into greater balance which activates it’s healing capacity. TCM continues to be proven effective in addressing health and energy. What is “Classical Chinese Medicine”? Similar to TCM, Classical Chinese Medicine utilizes many modalities of healing including Acupuncture and Herbs. The term Classical is used in the United States to signify the following of traditional lineage, and a study of the classic texts. The lineages most well known in the US are that of Daoist Master Jeffery Yuen, and the work of Heiner Frueoff. 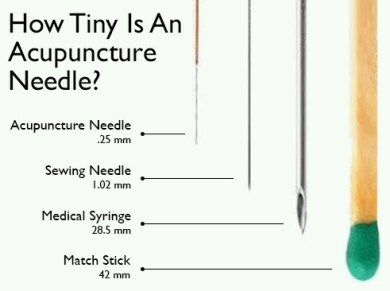 Acupuncture needles are very thin, almost hair-like! 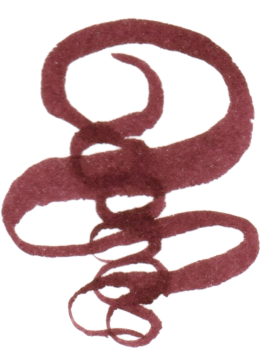 You may feel a small prick as they pierce the skin, and sensations of movement or heaviness during the treatment. Sometimes the needles are manipulated to receive Qi and the sensations can increase. Most people find acupuncture sensations fascinating, and the treatment itself deeply relaxing. Acupuncture is very safe! Acupuncture needles are single-use, sterile stainless steel needles, and Licensed Acupuncturists are highly trained to avoid injury. Side-effects to treatment are rare, and most likely are just a result of you tuning in to your body’s needs – like some more sleep! Wellbeing sessions are process oriented and healing is part of a larger journey. Ultimately, how often you come is up to you and what you feel is most in tune with your needs and healing process. It is helpful to think about your sessions as part of a journey of getting to the root cause of any imbalances you are experiencing. Because in Chinese Medicine and Alexander Technique we are addressing the root and the whole inter-connected pattern, and not just treating symptoms – or the “branch” – it is valuable to give yourself the time needed for transformation and discovery. This is not a “quick fix” approach! Depending on the nature of what you are experiencing, different amounts of time and attention are needed to see change. For these reasons, I suggest that people commit to once a week or even twice-weekly sessions (depending on the issues we’re addressing), to give your self that time to shift into more balance. As you begin to see the effects of your treatments, it is often obvious when moving to every other week, once a month, or seasonal check-ins is best. What should I do before & after a Wellbeing Session? Before your first session please set aside some time to complete the Intake Forms to bring with you. In your first session we will spend time talking about your questions, your health history, current concerns and lifestyle, and what course of support is best for you. Please wear loose comfortable clothing that is easy to move in or bring something to change into. Depending on the location of treatment you may need to partially disrobe for Acupuncture, Tui Na, or Cupping and if so you will be appropriately draped with a sheet or towel. It’s good to stay hydrated before and after you appointment, and to have something light to eat before hand. Please don’t brush your tongue (if you are in that habit) prior to a Wellbeing Session, as in Chinese Medicine we learn a lot about your current health by looking at your tongue in its natural state. After your session avoid eating large or heavy meals, overexertion, and caffeine or alcohol for a few hours. If possible, after a session it’s wonderful to be able to take a rest or a walk and let yourself continue to tune it to the treatment. If that isn’t possible, set the intention to stay tuned in as you go about your day. What is a typical course of study? Length of study depends on your interests, goals and condition. As with any new skill, the Alexander Technique takes time and repetition to learn and fully integrate. Regular lessons are recommended to begin, in order to build a new foundation. Most students experience improvements within three to five lessons, and find they are able to explore the Technique on their own successfully after about ten. The common experience is that after 30 lessons, students feel quite at ease with how to apply AT in their daily lives and can continue to develop their skill successfully on their own. Some students choose to continue with regular lessons after this because they enjoy the lessons and find them useful, and some find it helpful to come for occasional refresher lessons as they continue their own exploration. Because it is an educational process, you don’t need to continue to come for regular lessons in order to continue to reap the benefits of your study. You will learn how to think about how you move, better understand your body’s functioning and discover the process of striping away habits and finding natural ease. As long as you continue to work with what you have learned you will find you can apply your new skills to everything you do. What is the difference between studying in a group or in individual lessons? Deciding whether to study privately or in a group setting depends upon your learning style, budget, and interest in sharing a new experience with others. Individual lessons are the most common form of Alexander instruction. In individual lessons students get a very personalized experience based on their unique habits of movement and their interests. Most students find the value of the hands-on guidance of their teacher key to them understanding and changing long-standing patterns of interference. Because our habits of movement often feel “normal” to us, it can seem quite mysterious to unravel and learn to undo them without this personalized attention. Many students find they are able to learn new skills more quickly in this environment. In group classes, students learn about their own habits in part by watching others and exploring movement together. Of course there is less hands-on for each individual, but learning from each other can be an incredibly rich experience, one which some people even prefer. Some students find it easier to grasp the principles of the Technique when they can see it at work on other people first. Group classes are also a more affordable option which many choose in order extend the length or regularity of their study, or just to give the Technique a try and see if it is something they want to pursue more deeply. Some students decide to do both, to facilitate these different kinds of learning. Frederick Matthias Alexander (1869–1955), was a Australian actor and reciter who suffered from a vocal problem that threatened his theatrical career. When doctors could not find a cause for his ailment, he concluded that his vocal problem could be a result of something he was unconsciously doing with himself while performing. Using this hypothesis as a starting point, Alexander began a near decade-long process of self-observation in which he uncovered the habits of use that were interfering with his vocal production. What surprised Alexander is that not only did he find a remedy for his vocal ailments, but also found relief from many chronic issues he had since childhood. After some time he was persuaded to teach the method he had discovered to others, and in this process he developed a unique hands-on approach in order to facilitate his teaching. He gained much recognition from educators, scientists and doctors which expanded his understanding of what the “Alexander Technique” had to offer. Eventually he devoted his life to teaching (although he never gave up his love of acting), and trained others in how to teach his work. The American Society for the Alexander Technique is the internationally recognized certifying body for Alexander teachers in the United States. AmSAT has the most rigorous regulations in the country for certifying training programs and their graduates. All AmSAT certified teacher have completed at least 1600 hours of training over a minimum of three years. For more information see amsatonline.org. Please wear loose comfortable clothing that is easy to move in. Please avoid tank tops (unless you have a layer over), jeans (unless they are very stretchy), and short or tight skirts. Feel free to bring something to change into!